The hand-stitched leather strips and low backrest and arms draw inspiration from the luxurious interiors of 1960’s American cars. 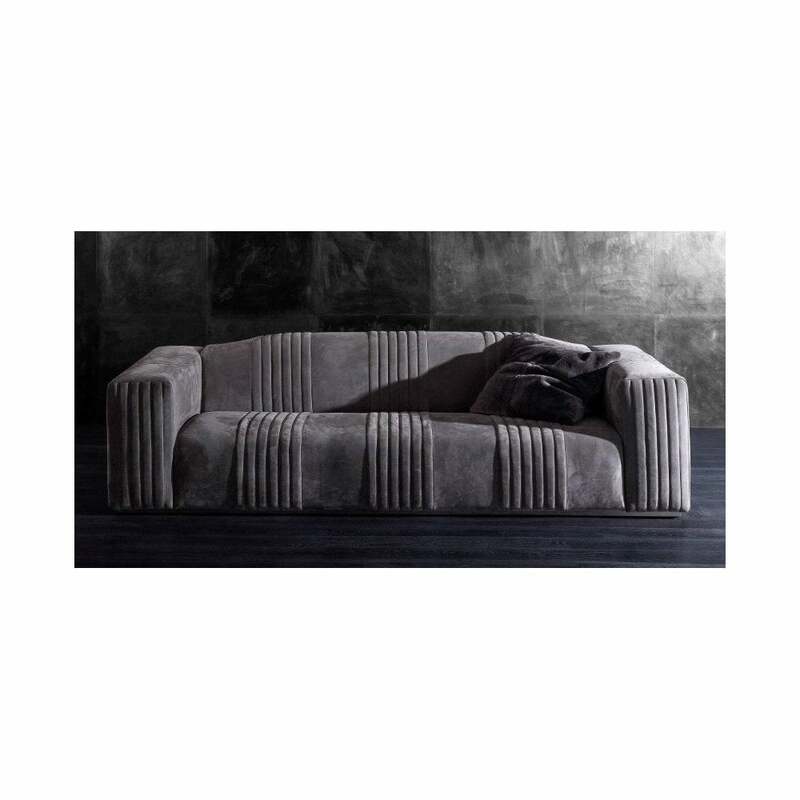 The Cadillac Sofa by Rugiano has a dynamic design that feels modern yet timeless. Upholstered in the finest Tessuto fabric or Pelle leather, choose from a variety of sophisticated colourways including mink, taupe and cream. Style with mid-century modern influences and metallic accessories for a luxury retro look that exudes Italian glamour. We love the combination of the Retro Floor Lamp from the Rugiano lighting collection with the Cadillac Sofa. Available in nine variations and sizes, create your own bespoke sofa design by combining modules to form a corner sofa, a classic three seater or a chaise longue style. Make an enquiry for more information.